The Desperate Housewives star said she had “betrayed” her daughter and was “ashamed” of the pain she had caused. Ms Huffman is accused of paying $15,000 (£11,500) to have her daughter’s exam questions covertly corrected in 2017. In a statement, she said: “I am in full acceptance of my guilt, and with deep regret and shame over what I have done, I accept full responsibility for my actions and will accept the consequences that stem from those actions. They say parents paid bribes, had exams altered and even had their children edited on to stock photos to pretend they played sports. 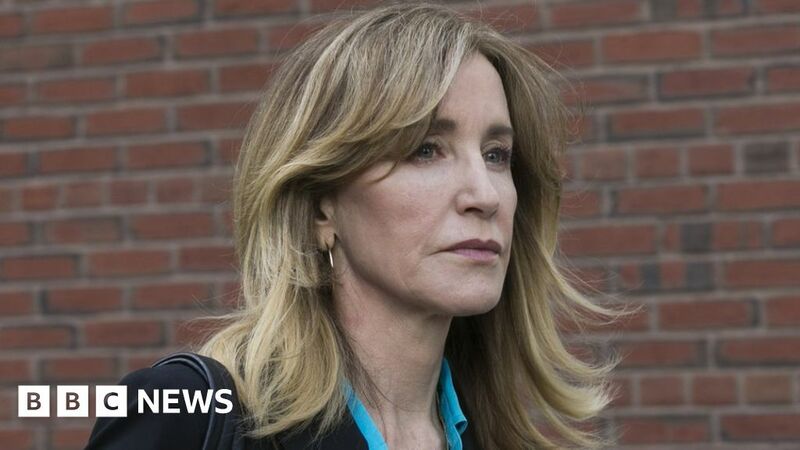 Ms Huffman and another Hollywood actress, Lori Loughlin, are the most high-profile figures indicted, but others charged include prominent business executives. Ms Loughlin is accused along with her husband of paying nearly $500,000 in bribes to get their two daughters admitted to the University of Southern California. They are not among those who have agreed to plead guilty and have not publicly addressed the allegations, the Associated Press (AP) news agency reports. Ms Huffman was accused of paying $15,000 to William “Rick” Singer – the confessed mastermind of the alleged scam – to have her daughter’s exam questions covertly corrected in 2017. Authorities say she has agreed to plead guilty to a charge of conspiracy to commit mail fraud and honest services mail fraud, AP reports.